"This likely to be his stiffest test yet, but very hard to oppose." Unbeaten over fences and at the Festival (won Supreme and Arkle last two years) and looked every bit as good as ever after 10 months off (met with setback in the autumn and subsequently had wind operation) when comfortably beating Politologue by four lengths in Game Spirit Chase at Newbury last month. This likely to be his stiffest test yet, but very hard to oppose. Grade 1-winning novice in 2015/16 (Henry VIII Novices' Chase at Sandown) but has fallen short in two tries at the highest level since, including when third to Politologue in Tingle Creek in December. Plenty to find in deeper race. Six lengths behind Altior in Henry VIII Novices' Chase at Sandown last season and would very likely have had to settle for more minor honours behind same rival when falling two out in Arkle over C&D in 2016/17. Tended to land flat-footed when five and a half lengths fourth to Politologue in Tingle Creek Chase at Sandown last time. Plenty to find with Altior once again. Had been a perfect 13 from 13 for Willie Mullins, including Supreme and Arkle, before suffering pelvic fracture (finished seventh) in this race last season. Not seen since (has missed more than one intended return this season) and would take a huge training performance to bring him back at his best. The danger to Altior on his best form. Would have finished no worse than third in this race last year but for serious jumping mistakes four out and two out. Below form on both starts this term (over 2½m), but should be more at home back at this sort of trip, though this is a deeper race than last year's. 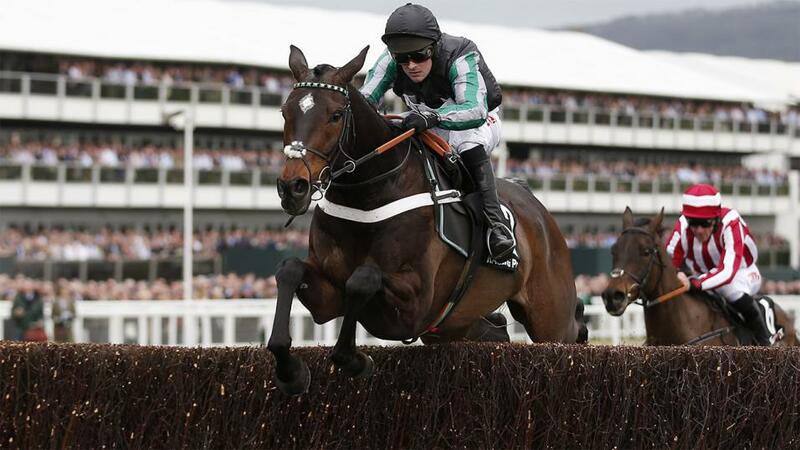 Second to Altior in 2016 Supreme, but missed out on rematch in last season's Arkle due to injury. First past the post all three starts this season, though demoted to second behind Simply Ned at Leopardstown in December (caused late interference). Reversed that form in some style when winning Coral Dublin Chase at Leopardstown (by 12 lengths) last time, however, and could end up being the main danger to Altior here if progressing again. Third in the Arkle behind Altior last season but would have been fourth but for Charbel's fall and very hard to see him placing here again, for all that he'd have probably been a clear second to Min in Dublin Chase last time but for a late blunder. Relished the return to 2m this term and took advantage of some notable early-season absentees from the division when landing hat-trick in Haldon Gold Cup at Exeter, Tingle Creek Chase at Sandown and Desert Orchid Chase at Kempton. Simply outclassed by Altior in Game Spirit last time, though, and likely to be similar story here. Third in this race in 2015 and 2016 and took advantage of Douvan's below-par effort to win last year's renewal. Bubbling under his best in three starts this season, but no surprise to see him give a good account again, for all that he's highly unlikely to retain his crown. ALTIOR looked as good as ever when returning from wind surgery to beat Politologue in the Game Spirit and can extend his unbeaten chase record to 8. Douvan would be more than capable of mixing it with Nicky Henderson's charge at his best but he hasn't been seen since a tame run in this race last year and a bigger threat may emerge from stablemate Min, even though Ruby Walsh sides with the former.